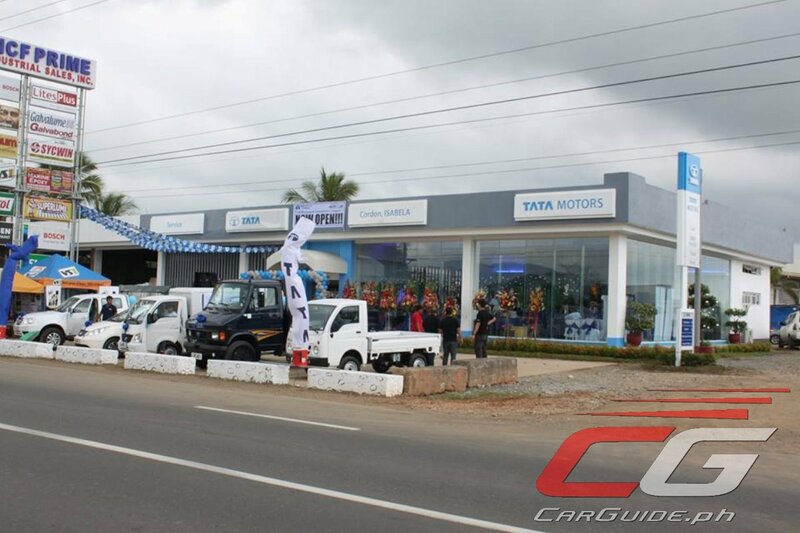 Pilipinas Taj Autogroup, Inc. (PTAJ), the exclusive distributor of Tata Motors, has opened their tenth dealership. This new dealership, operated by Auto Ten Trade and Services offers the Indian’s full line of passenger cars, trucks, and buses and is located in Isabela Province. Aside from sales, this 3S dealership also provides aftersales and parts support with its 1,500-square meter facility complete with 6 work bays. Present in the grand opening ceremony were Auto Ten Trade and Services General Manager, Mr. Neil Carlo Federizo, PTAJ President, Mr. Jon Fernandez, Jr., Technical and Engineering Division Head, Engr. Ramil Mendoza, Parts and Service Division Head, Mr. Fidel Portillo, Vice Mayor Charlita Mariano, and Mayor Lynn Zuniega as the guest speaker. “We at Tata Motors Isabela are ready to cater to not only the Isabela Province but to other provinces as well. We have dedicated personel to attend to every customer whether it may be regarding sales, service, or spare parts” shared by Mr. Neil Carlo Federizo. “The North Luzon Market has so much potential especially in commercial vehicles especially Isabela since it is the second largest province in the country. This is why we value this market so much and decided to put up a new 3S Tata Motors dealership. We believe our vehicles can help contribute to the livelihood of our kababayan’s here” said Mr. Fernandez. Tata Motors Isabela is located in NCF Prime Compound, Purok 2, Brgy. Taringsing, Cordon, Isabela and is open from 8:00 to 6:00 pm Monday to Saturday. They can be reached at 63 78 682 0451.